nathan skyes Photos, News, and Videos | Just Jared Jr. 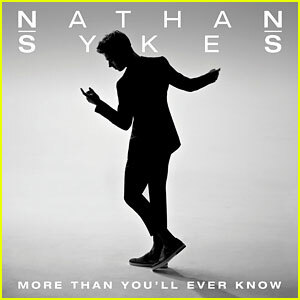 Check out the premiere of Nathan Sykes‘ new music video for “More Than You’ll Ever Know”! “There is no one to hide behind anymore! It’s so exciting though. I have an amazing team and I get to be really involved in the whole process and I can’t wait to get back out on stage again,” the 21-year-old former Wanted singer shared with HungerTV about his solo career. Ariana Grande and Nathan Skyes share a sweet kiss while out to dinner in Primrose Hill in London, England on Thursday evening (November 7). 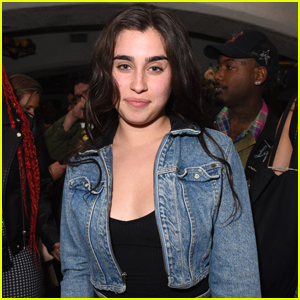 The couple, who met up with friends, kept close the entire night while grabbing some dinner at Manna restaurant. Just a few hours before, Ariana performed at an intimate showcase for her biggest fans at Rise Club. “It’s so good to be back in London. Looking forward to tomorrow. Who am I gonna see at the showcase?” Ariana wrote on Twitter earlier. Ariana Grande & Nathan Skyes: 'Almost Is Never Enough' Performance - Watch Now! Ariana Grande sings to Nathan Skyes during their appearance on Live! with Kelly and Michael in New York City on Thursday morning (September 5). The new couple performed their new track, “Almost Is Never Enough” off of The Mortal Instruments: City of Bones soundtrack. The duet is also featured on Ariana‘s new album, Yours Truly. “Can’t wait to perform on @kellyandmichael this morning with @nathanthewanted! #almostisneverenough 1 of my favorite songs from Yours Truly! !” Ariana tweeted ahead of their performance. The Wanted at Capital FM Summertime Ball 2013: Nathan Skyes Is Back! The Wanted arrive backstage at the 2013 Capital FM Summertime Ball held at Wembley Arena in London on Sunday night (June 9). The Wanted‘s Max George and Siva Kaneswaran arrive ahead of the 2013 Easter Egg Roll on Monday morning (April 1) in Washington, D.C. Along with band mates Tom Parker, Jay McGuiness and Nathan Sykes, the guys performed on the Rockin’ Egg Roll Stage. After their performance, The Wanted hopped over to Storytime stage to read a book to the young attendees.